The deceased’s legal representative is responsible for ensuring that the tax return is filed. The legal representative would be the Executor (as named in the will) or the Administrator as appointed by the court. As the legal representative, you may wish to appoint an authorized representative to deal with the Canada Revenue Agency for tax matters on your behalf. You may do so by completing Form T1013, T1013. What is the deadline for filing the final return? If death occurred between January 1, 2011 and October 31, 2011, the final return is due by April 30, 2012. If death occurred between November 1, 2011 and December 31, 2011, the final return is due 6 months after the date of death. The due date for filing the T1 return of a surviving spouse or common-law partner who was living with the deceased is the same as the due date for filing the deceased’s final return. However, any balance owing on the surviving spouse’s or common-law partner’s return still has to be paid on or before April 30, 2012 to avoid interest charges. If the deceased or the deceased’s spouse (or common law partner) was carrying on a business, in 2011 the deadlines are extended as follows. If death occurred between January 1, 2011 and October 31, 2011, the final return is due by June 15, 2012 though any taxes owing are due by April 30, 2012. If death occurred between November 1, 2011 and December 15, 2011, the final return is due June 15, 2012 and any taxes owing are due 6 months after the date of death. If death occurred between December 16, 2011 and December 31, 2011, the final tax return and any taxes owing are due 6 months after the date of death. The due date for filing the T1 return of a surviving spouse or common-law partner who was living with the deceased is the same as the due date for filing the deceased’s final return. However, any balance owing on the surviving spouse’s or common-law partner’s return still has to be paid on or before April 30, 2012 to avoid interest charges. If a person dies after December 31, 2011 but on or before April 30, 2012, and that person had not yet filed the 2011 tax return, the due date for filing it, as well as for paying the balance owing, is six months after the date of death. The due date for filing the 2011T1 return of a surviving spouse (or common law partner) who was living with the deceased is the same as the due date for filing the deceased’s prior year return. However, any balance owing on the surviving spouse’s or common law partner’s return still has to be paid on or before April 30, 2011 to avoid interest charges. How do you notify the CRA that someone has died? You should provide the CRA with the deceased’s date of death as soon as possible. You can call them at 1-800-959-8281, or complete the form “Request for the Canada Revenue Agency to update records” found at T4011. Send the completed form to your tax services office or tax center. CRA has a 33 page guide titled T4011 – Preparing Returns for Deceased Persons 2011. It can be found online at DP 2011. 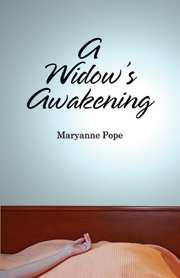 I’ll have more tax information posted soon, so please revisit Widowed.ca soon. We’re here to help you take control of the future and move to the next chapter of your life. Should you have questions you’d like to see addressed in a future blog, please e-mail me at: jennifer@widowed.ca. For more information you can contact DFS Private Wealth. Or use our Looking for Help? search tool on the right sidebar and our Home Page to find additional experts in your area.